Businesses usually use more electricity than domestic customers, therefore, it is highly important to ensure you are on the most suitable electricity deal for your business’s needs, because if you are overpaying for your power, you are putting an unnecessary dent in your bottom line. The great news is the higher electricity consumption allows businesses to negotiate with suppliers for their best rates. The bad news – to source this great deal and make the most of your buying power, you will need to have an understanding of the market – a market where prices can fluctuate on a regular basis and each supplier has different rates, tariffs and terms and conditions. This is where we come in! 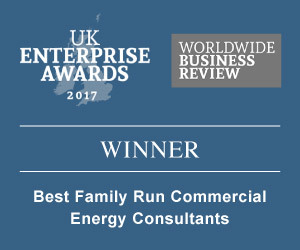 At Watt HQ we have a team of utility specialists who have extensive knowledge of the business energy market and the numerous suppliers available, so can provide you with up-to-date, independent advice and with only a few key pieces of information can source you the best possible electricity deal available. We'll find you a new electricity deal, take care of setting it up and save you money. All you have to do fill in our simple quote form. Jacob Seraj was a fantastic help with sorting out new contracts for out company. He fully understood the circumstances of the buildings we were dealing with. We've been meaning to come on to say how helpful and charming Mo Jameel was helping our father arrange his energy renewals at Christmas - it was all he could talk about over the holidays about how much money he had saved from switching! It's the first time any of us has used a broker and it's reassuring that nobody took advantage of his old age but rather helped him move his business to a cheaper supplier. We hope you won the Christmas prize!! Great job Mo!! Jacob Seraj has been helpful as always in reviewing our contract for electricity. He is always on hand to help and answer any questions and I find him to be extremely efficient and knowledgeable. Well done Jacob, keep up the good work.